My Pooker started her first EVER school this week. 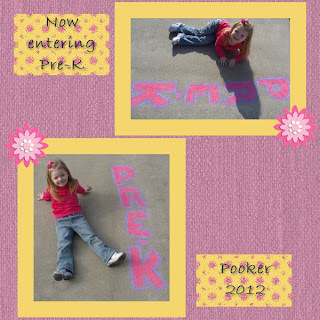 Yes... Pooker is a big girl now. I created this scrapbook page using my My Memories Scrapbook Program.